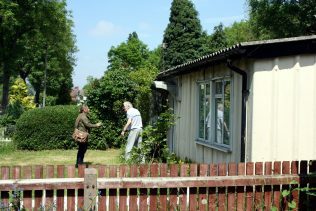 On 3 June 2016 we travelled to Birmingham to meet Lou from 20th Century Society West Midlands and Simon and Vicki from the Birmingham Conservation Trust. 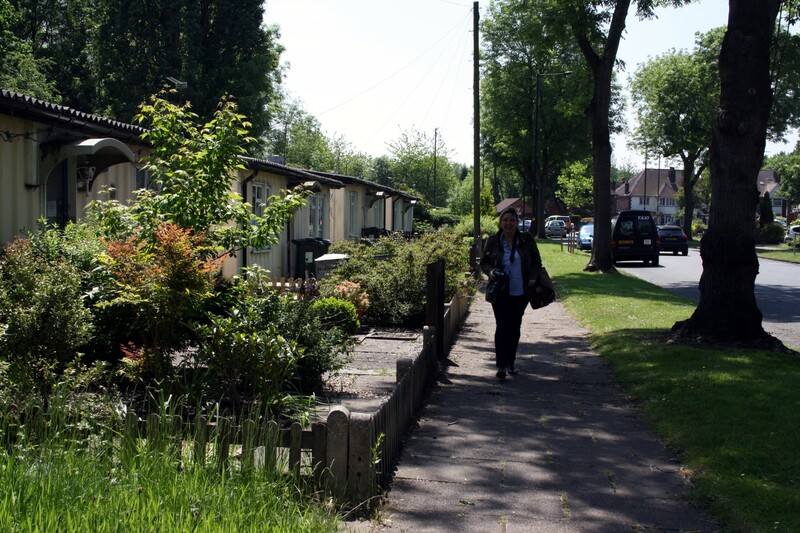 We visited the Grade II listed Phoenix prefabs in leafy, suburban Wake Green Road, Moseley. 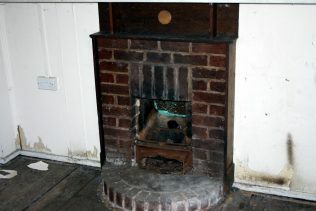 16 were listed by English Heritage (now Historic England) in 1998. 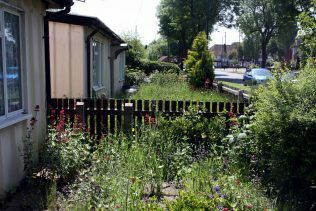 Lou, Simon and Vicki have a plan to preserve and consult on new uses for the five empty prefabs, which have fallen into disrepair since they were vacated by their tenants. The rest of the prefabs are still lived in and we spoke to one of the residents. 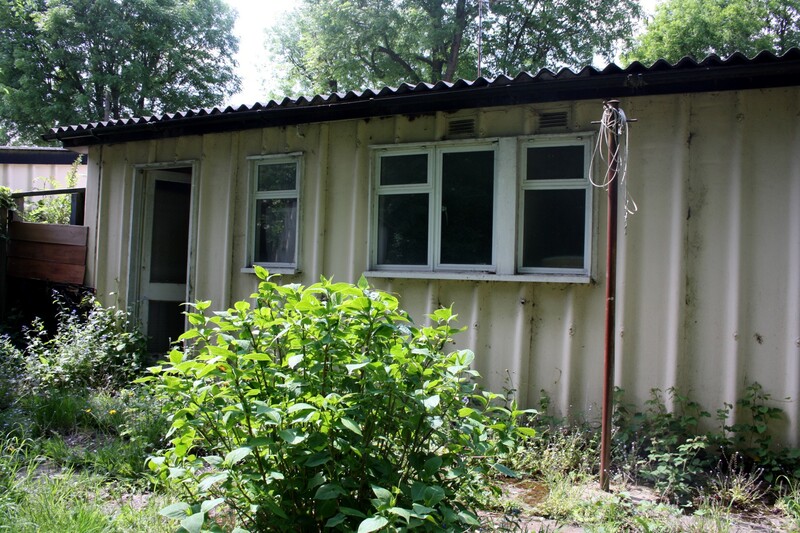 Some 2,428 Phoenix prefabs were erected in the UK as part of the Temporary Housing Programme. 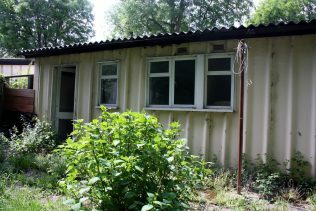 THE PREFABS on WAKE GREEN ROAD, Birmingham- need, if possible to be retained. 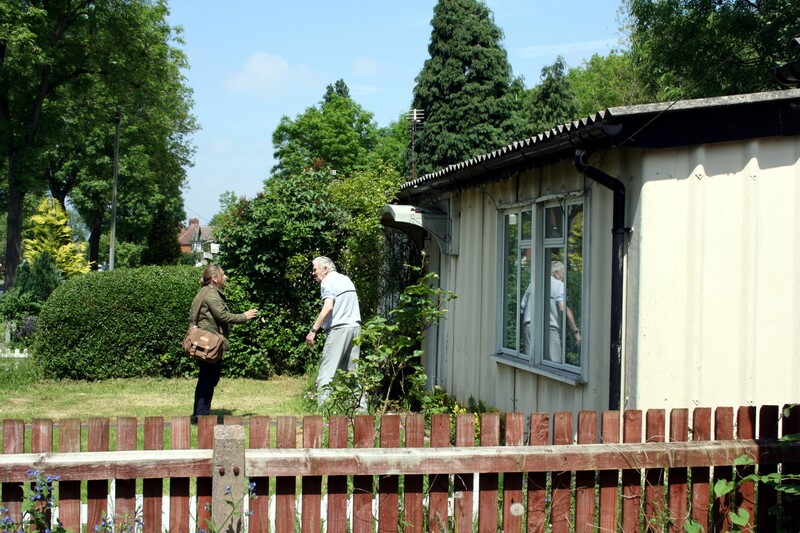 Are they technically in Hall Green or Moseley ? Who is/ are the main contact(s) to help in their preservation ?